Welcome to AMP Procurement Modernization Blog! Welcome to the future of purchasing. 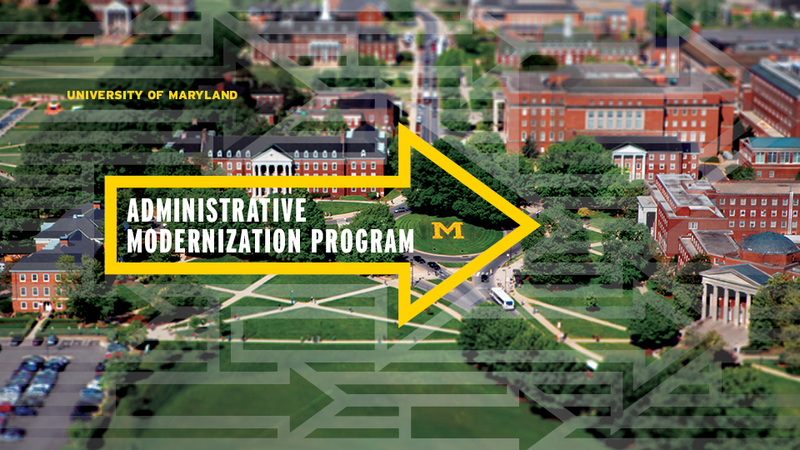 Procurement Modernization improves the way UMD purchases its goods and services by providing all stakeholders effective processes and tools throughout the procurement process. 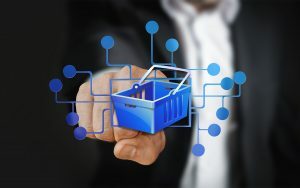 Our team, including over 150 subject matter experts from all around campus and beyond are working to develop new, streamlined ways to purchase everyday goods as well as larger-scale purchases of specialized goods and services. Get the latest updates on procurement projects directly to your inbox. Subscribe to the right! 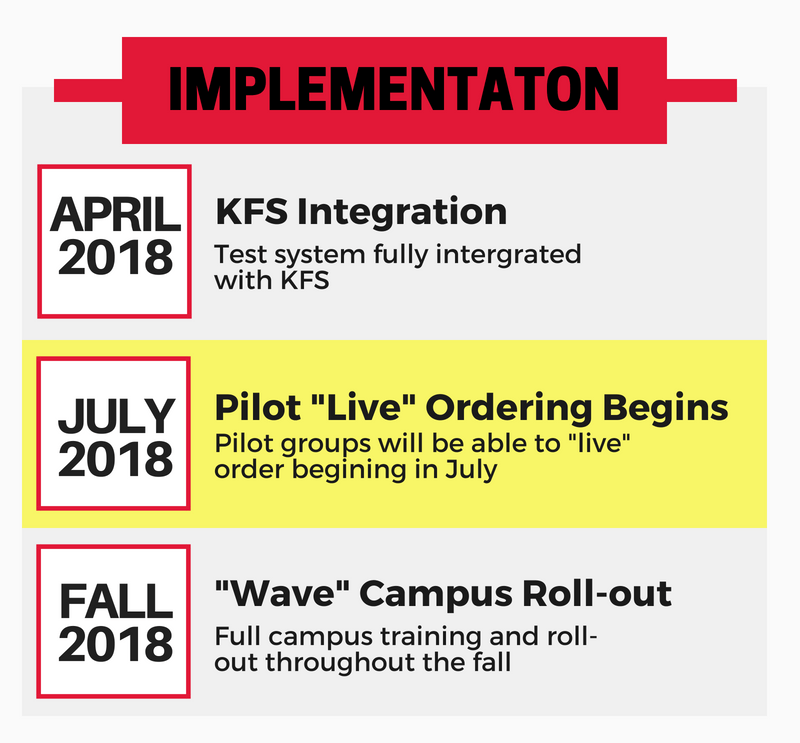 UMD’s new e-procurement system, Shell Shop, has officially begun implementation across campus, starting with the successful launch of “wave one,” the e-procurement pilot group. Following a comprehensive training session, they will begin live ordering in less than a week. A second implementation wave is currently underway, with remaining departments and schools staggered in waves through the spring. Shell Shop is the first major milestone in the university’s plan to modernize UMD’s purchasing process. In addition to eliminating the majority of paper and steps it takes to purchase goods and services, the system automates approvals, simplifies order tracking and—unlike the P-card—is not limited to $5,000 purchases. Shell Shop will also provide the university critical data on campus-wide purchases for the first time. Shell Shop houses University-approved vendors curated with faculty/staff input and by examining purchasing trends from the past 24 months. 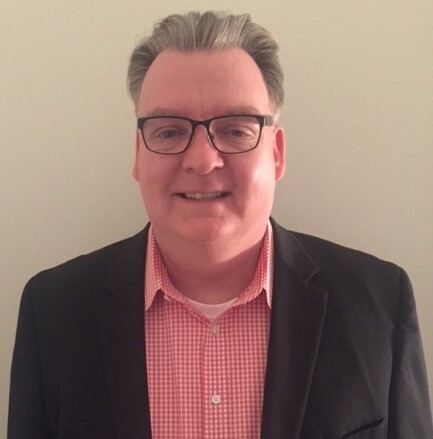 In addition to comprehensive training, the Office of Procurement and Strategic Sourcing will offer continued support and real-time assistance. Expect to receive information from the Shell Shop team on your department’s implementation in the coming weeks. Introducing UMD’s e-Procurement system, Shell Shop! 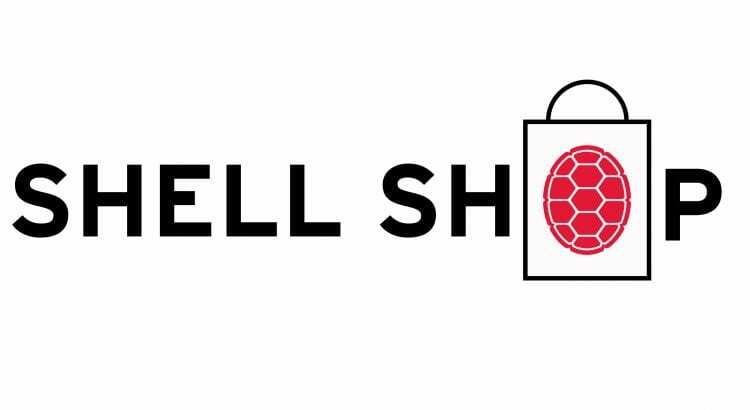 The Office of Procurement and Strategic Sourcing is excited to announce the kick-off to the campus-wide implementation of Shell Shop, the official name of UMD’s new e-procurement system. 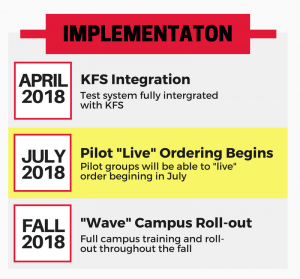 Procurement has collaborated with administrators across campus to coordinate a multi-wave implementation plan. The first wave kick-off meeting was held today with the pilot group, specialty approvers, and the Behavioral & Social Sciences College. During each wave implementation, the Project Team will coordinate with designated department representatives to build, test, and validate each Department’s role within Shell Shop. We would like to send a special thanks to Lori Petterson from the Smith School of Business Finance Department. 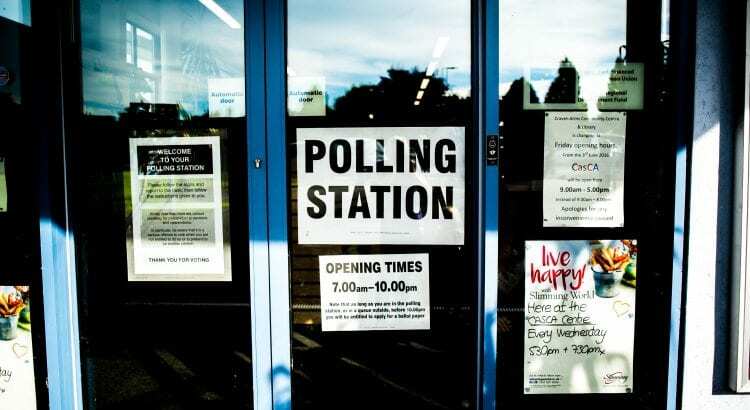 Her clever name suggestion edged out the other entries in number of online votes and was crowned the official name of the e-procurement system. Lori, lunch is on us! Look for news in the coming weeks on our implementation progress and timeline! Name that tool: cast your vote! In May, we asked the UMD community to submit snazzy, brand-specific name ideas for UMD’s new e-Pro tool and you delivered. A slurry of names–the catchy, the sleek, and the play-on-words–hit our inbox. Thank you! Over the past week, our crack staff has worked to narrow down the choices to the final three. Help us choose the winning name* by casting a vote below. Submit your vote by next Friday, August 17, 2018! *Authors’ names have been omitted to prevent unconscious bias. Q: Will faculty and students be allowed to use the system? A: Anyone with valid UMD credentials can be added to the system as a user. Roles, responsibilities and system access will be determined by business managers in each department. More guidance will be provided over the summer about how to determine roles and access. Q: Will the e-Pro system have internal catalogs available? A: Internal catalogs are included in the e-Procurement roadmap, which outlines the system functionality and implementation. The project team is exploring the capabilities of hosting catalogs for internal UMD shops like Terp Tech Store and Facilities Warehouse within ePro. Q: Can I still interact with suppliers whose catalogs are available in e-Pro? A: Yes. For certain items, you may still request quotes from vendors and interact with them on issues such as product returns. Prior to the roll-out, we will offer training on vendor interaction protocol relative to using the e-Procurement system. Q: Will rules around invoicing and payments still be the same? A: Yes, and we have built default scenarios for two- and three-way matching and invoice tolerances. Training will be provided with the system roll-out. Once a PO is created by the e-Pro tool and pushed into KFS, all processes—including change orders, payments, etc.—will be handled essentially the same as they are today. Q: Can I make a purchase in the system even if a vendor does not have a catalog published in the system? A: Yes. All purchases can be made using the new e-Pro system. Specific training will be provided on how to make catalog and non-catalog purchases. Check out other posts on this site for short videos on the basics of how to do each type of purchase. Q: How can I request a vendor’s catalog to be added to e-Pro? What other questions do you have about e-Pro? Please post them in the comments below. The e-Procurement Project Team has been working closely with the e-Pro pilot group as they become familiar with the new shopping tool. The group is nearing completion of the testing phases and in the coming weeks, will be ready for go-live. To date, the e-Pro system has been successfully integrated with KFS, allowing the pilot group to push purchase order information directly into the financial system. One hundred percent electronic process: A completely electronic process from requisition to receiving, including approvals. Flexible and user-friendly interface: Ability to update order details and add key documents throughout the approval process. e-Pro data capture and reporting tools: combined with KFS reporting capabilities, these intuitive tools will deliver more robust procurement spend data to allow more aggressive negotiation of contracts, better budget/spend planning and improved supplier relations. 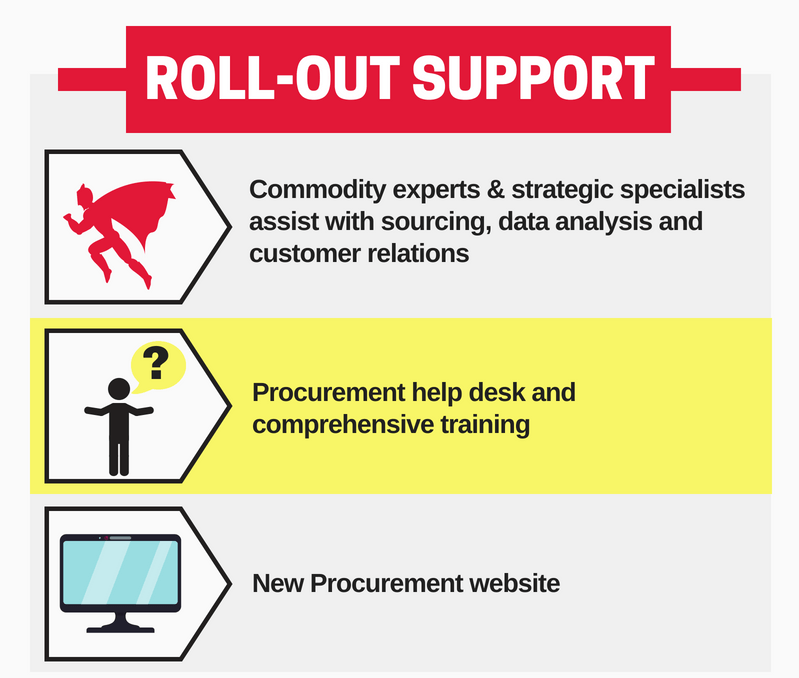 New commodity teams with expertise in a variety of product sourcing will help answer product questions, identify departmental needs and help buyers make informed decisions. Additional strategic procurement roles—including data analysis, training and outreach, and supplier relations have been created for on-going support and to maximize system capabilities. For the past year, Procurement Modernization leadership has canvased the four corners of campus, outlining the Procurement Modernization road map to leadership, campus stakeholders and department administrative councils. These sessions have resulted in change management activities, productive conversations and questions (you can read a Q and A from the most recent roadshow, here). 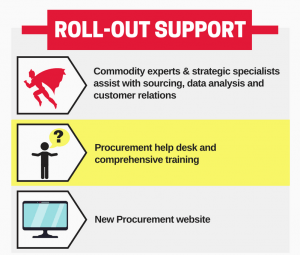 Progress is regularly updated on the Procurement Modernization blog. Get the latest news, delivered to your inbox, here. The campus-wide roll-out of the e-Pro tool begins this fall. The roll-out will be paired with a comprehensive training and outreach process, including in-person training, online tutorials, a procurement help desk, an improved website and frequent communications. The Procurement Modernization Blog is a two-way forum to ask questions, offer ideas and follow our progress. We want to hear from you—visit the blog here or sign up to receive blog highlights every week. Think the P-card is the fastest way to purchase at UMD? Think again. We put the P-card and UMD’s new digital buying system, e-Pro, head-to-head to see which purchasing process is quicker and easier. Watch the video short here. You may know e-Pro, but do your colleagues? There’s a lot to know about our new digital buying system. Help us spread the word– share this video with your colleagues today! P-card vs. E-Pro: A Real-time Purchasing Demonstration from AMP at UMD on Vimeo. Special thanks to Purchasing Coordinator Melissa Britton (Physics) and Buyer Lamont Timmons for donating their 15 minutes of fame to this video. Name that Tool: We Want YOUR Big Idea! After announcing our e-Pro naming contest last week, many of you have weighed in with some pretty terrific ideas. 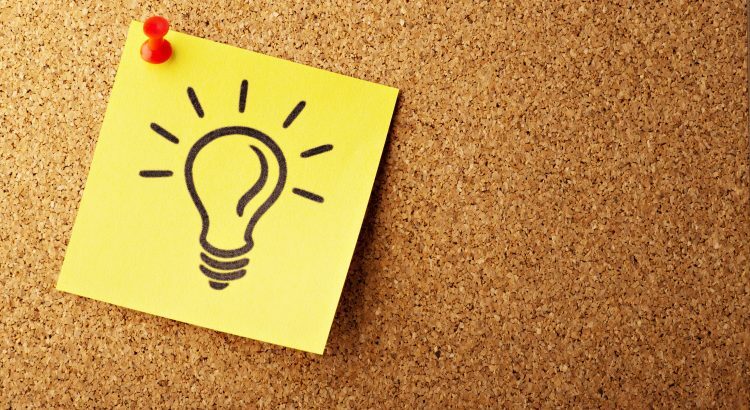 Haven’t sent in your big idea yet? Now is the time! Send your ideas to amp-procurement@umd.edu or add it to the comments below. Make sure to read what others are coming up with too, it could be the inspiration you need! Remember: ideas are contagious- the best ones spread! Visit AMP Procurement project info page.